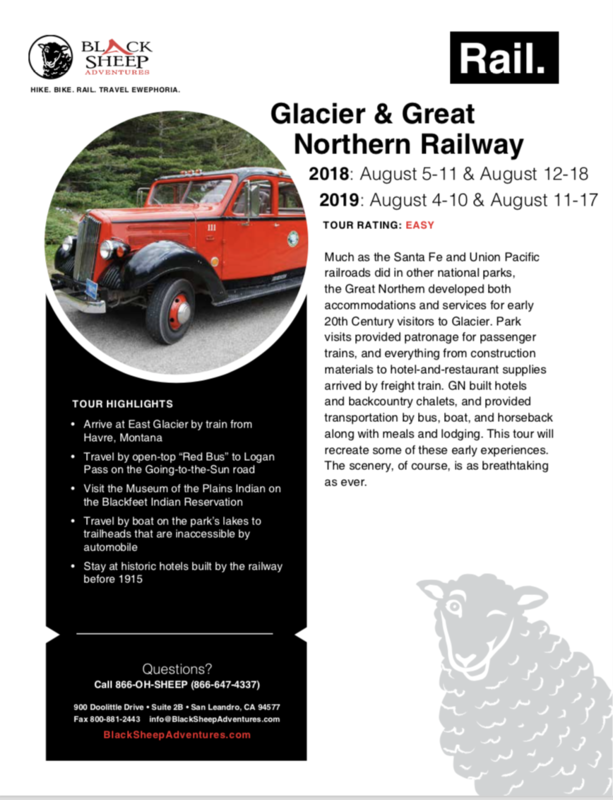 Much as the Santa Fe and Union Pacific railroads did in other National Parks, the Great Northern developed both accommodations and services for early 20th Century visitors to Glacier. 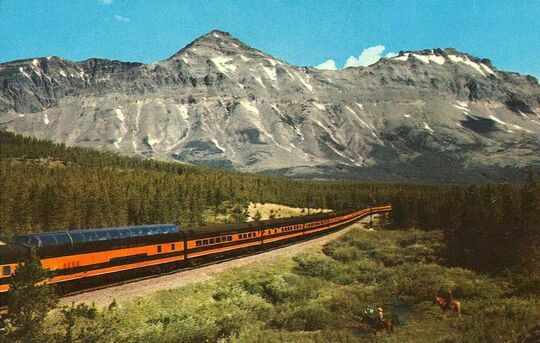 Glacier National Park visits provided patronage for passenger trains, and everything from construction materials to hotel-and-restaurant supplies arrived by freight train. Great Northern built hotels and backcountry chalets, and provided transportation by bus, boat, and horseback along with meals and lodging. This Great Northern Rail Tour will recreate some of these early experiences. The scenery, of course, is as breathtaking as ever. Situated in Northern Montana, guests at our Havre hotel can enjoy a free shuttle to Amtrak and the airport and a spacious pool area for lounging and relaxing as well as a 24-hour fitness center. Spacious guest rooms feature Wi-fi, satellite TV, and coffee makers. The lodge is located just outside the boundaries of Glacier National Park in the village of East Glacier Park and was built in 1913 by the Glacier Park Company, a subsidiary of the Great Northern Railway. Rooms have hardwood floors, western decor, free Wi-Fi but no TVs; some overlook the central lobby, others have shared balconies with views. Amenities include a striking timbered lobby, an outdoor pool, a 9-hole golf course and a day spa. Located just across Divide Creek from the entrance to Glacier National Park and the Going-to-the-Sun Road, this lodge provides a perfect base for exploring the park. Rooms offer air conditioning, TV, and a private balcony with exceptional views of the surrounding natural beauty. A family-owned retreat bordering Glacier National Park, in Essex, Montana. Relaxation is key in the quiet rooms where TVs and room telephones are absent and beds are extra plush. The main, historic lodge and fully equipped, authentic caboose cars in the hills all house décor reflecting the Inn's historic past, surrounding nature and laid-back Montana style. The new heated covered patio, affords guests the chance to take a break from the trails & have a hot beverage & local specialties while taking in stunning mountain views, fresh air, and the occasional passing train. This morning we visit the Havre Locomotive Shop to learn about the work required to keep BNSF’s modern diesel-electric locomotives operating at their peak. The nearby H.E. Clack Museum, interpreting the history and natural history of Montana’s high plains, provides an alternative experience. After lunch we will see and photograph Great Northern Railway 4-8-4 steam locomotive no. 2584 (Baldwin Locomotive Works, 1930), preserved at Havre’s Amtrak station, while we await Amtrak’s Empire Builder for our four-hour trip to Glacier Park Station. This morning we visit the Two Medicine region of Glacier National Park for a ranger-guided boat cruise on Two Medicine Lake and guided walk to Twin Falls. After lunch, we travel to Browning, on the Blackfeet Indian Reservation, where we visit the US Department of the Interior’s Museum of the Plains Indian. We take a scenic drive along the eastern border of the park to Many Glacier Hotel, which is surrounded by awe-inspiring scenery in the heart of the park. We arrive in time for a guided boat cruise on Swiftcurrent Lake/Lake Josephine followed by an optional guided hike to Grinnell Lake. If time allows this area is full of amazing hikes and we can further stretch our legs to a nearby waterfall or search for resident wildlife. After a leisurely breakfast and opportunity to relax at the hotel, we will transfer to Essex, Montana, along the BNSF Railway main line at the southern boundary of Glacier National Park. Our lodging tonight is the Izaak Walton Inn, built in 1939 primarily to house employees of the Great Northern Railway. 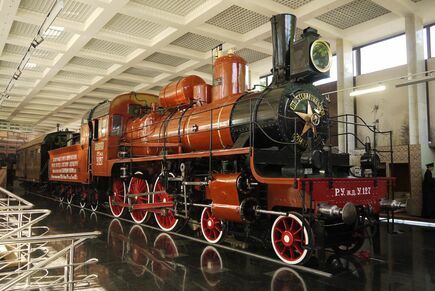 As railway operations and maintenance became less labor-intensive, the hotel gradually drew more of its clientele from the traveling public rather than rail workers. 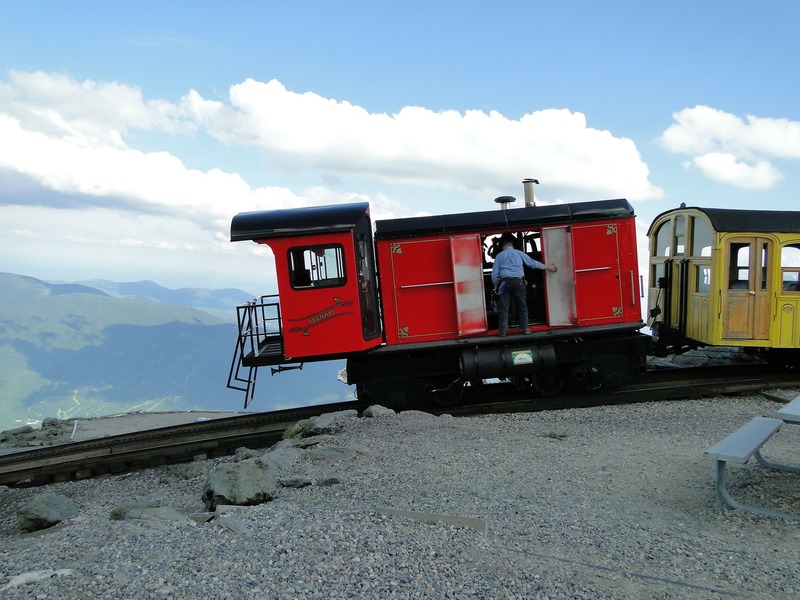 Hiking will be available, as will train-watching – or take the opportunity to relax.